There is a new publication out by the bioarchaeological researcher Lorna Tilley, a PhD graduate from the Australian National University in the School of Archaeology and Anthropology, which introduces the theory and practice in the bioarchaeology of care methodology. The methodology aims to investigate and identify instances of care provision within the archaeological record through case study analysis of individuals who display evidence for physical impairment, either through disease process or acquired trauma, of a disabling nature which may have required care in order to survive to their age-at-death. Focused, for the moment, on the prehistoric periods, the publication introduces a number of case studies spanning the Palaeolithic (including Homo neanderthalensis) to Neolithic periods from a variety of geographic and cultural contexts. An introduction to the model, the background and the four stages of analysis, can be found here. As a matter of disclosure I should add here that I helped to (briefly) edit the second chapter of the publication for Lorna and that my name, and this site, are mentioned in the acknowledgment section. (I have to admit it is pretty awesome seeing my name in print!). The cover of the publication, as a part of the Bioarchaeology and Social Theory series published by Springer, and series edited by Debra L. Martin, is now available. The hard back volume retails for the sum of £90.00 and in ebook form for £72.00. A paperback version will be released at some point and will be cheaper. Image credit: Lorna Tilley/Springer. ‘Characteristics of the care given to those experiencing disability provide a window into important aspects of community and culture. In bioarchaeology, health-related care provision is inferred from physical evidence in human remains indicating survival with, or recovery from, a disabling pathology, in circumstances where, without such support, the individual may not have survived to actual age at death. Yet despite its potential to provide a valuable perspective on past behaviour, caregiving is a topic that has been consistently overlooked by archaeologists. Theory and Practice in the Bioarchaeology of Care presents the ‘bioarchaeology of care’ – a new, case study-based approach for identifying and interpreting disability and health-related care practices within their corresponding lifeways context that promises to reveal elements of past social relations, socioeconomic organisation, and group and individual identity that might otherwise be inaccessible. The applied methodology, supported by the Index of Care (a freely-available web-based instrument), consists of four stages of analysis, with each stage building upon the content of preceding one(s): these stages cover (i) description and diagnosis; (ii) assessment of disability impact and the corresponding case for care; (iii) derivation of a ‘model of care’ provided; and (iv) interpretation of the broader implications of the provision and receipt of this care. As exciting as the above publication is I can also confirm that there will be a multi-authored edited volume, which is presently titled as New Developments in the Bioarchaeology of Care: Further Case Studies and Extended Theory, to be published mid next year by Springer. The volume is the culmination of a session on the topic held at the Society for American Archaeology annual meeting back in April 2015, which was held in the beautiful city of San Francisco (see the list of presenters, and their topics, here). I have also contributed a chapter to this volume on the topic, and the importance of, public communication within bioarchaeology of care research. I am pretty excited to read the other contributions from a range of bioarchaeologists, historians and philosophers. So keep your eyes peeled for that! If there are any potential bioarchaeological researchers out there that are interested in analyzing the evidence for care provision, then I’d recommend checking out the above publication and utilizing the Index of Care tool within your own research (see also Tilley & Cameron 2014). Only by other researchers incorporating the above methodology, and improving upon it when and where possible, are bioarchaeologists going to be able improve our own understanding of care in the archaeological record as a response by past populations and individuals to instances where care may have been provided. Care, and the archaeological and osteological evidence for care provision, has been, and continues to be, a contentious issue within the discipline (Tilley & Oxenham 2011). However it is also an area where a range of investigative research strands and new scientific techniques can be brought together to provide a fuller holistic approach, to both the archaeological record itself and to the individuals who populated it. The online non-prescriptive Index of Care tool produced by Lorna Tilley and Tony Cameron can be found here. Researchers are very much welcome to use the step by step process during the analysis of case studies and are asked to provide critical feedback that will help improve the tool for future users. 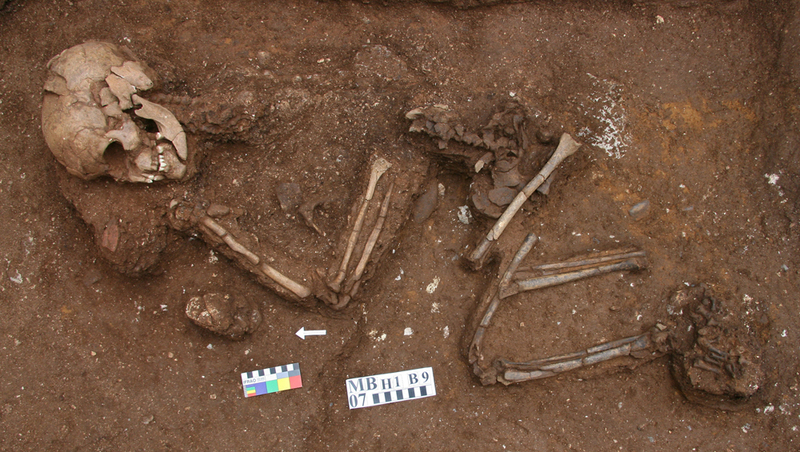 Read an interview here with Lorna and myself, which was conducted back in 2013, where we discuss her work with the bioarchaeology of care model and the importance of using it to deduce the evidence for care provision in the archaeological record and the importance of recognising this. Tilley, L. 2012. The Bioarchaeology of Care. SAA Record. 12 (3). (Open Access). Any regular reader will know that I am particularly interested in physical impairment in the archaeological record, and the implications of this for the individual themselves and for the society that the person lived in. Too often in the archaeological and osteological literature the individual care needs of those with physical impairments are cast aside. As such it is with great pleasure that I highlight here the launch of a new online application entitled the Index of Care, as a key part of Tilley’s new Bioarchaeology of Care methodology (2011). 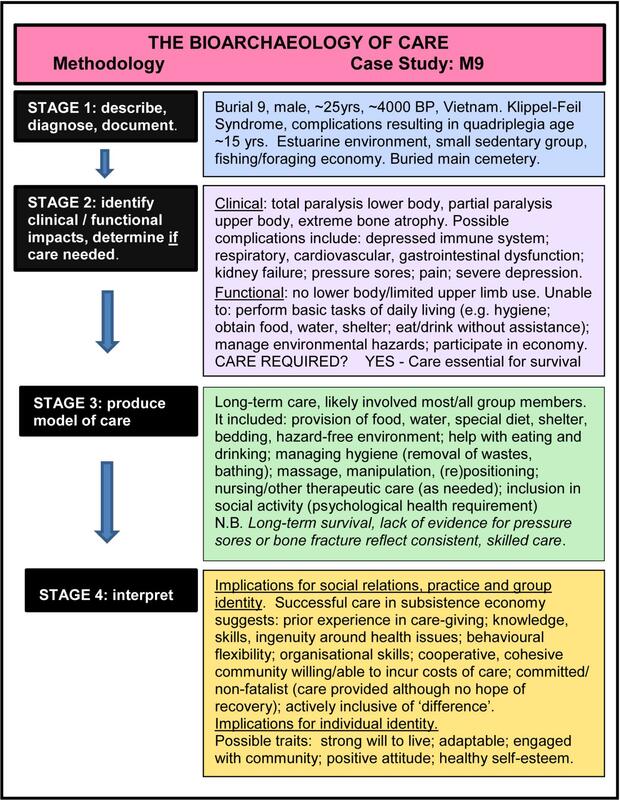 A recent article (1) by Tilley (2014) in the International Journal of Paleopathology introduces the Index of Care – an instrument still in the early testing phase which has been designed to help people think through the identification and interpretation of skeletal evidence for health-related caregiving in the archaeological record. The Index, which leads the user through the four stages of bioarchaeology of care analysis, is the brainchild of Australian National University researcher Lorna Tilley (who was interviewed on the methodology for this blog last year). Tilley says that, while she has tried to embody the theory of the bioarchaeology of care approach in the instrument and has found it useful in her own work (2011, 2012), she considers the Index itself an experiment. ‘As far as I’m aware, this is the first time in bioarchaeology that an instrument for examining a behaviour as sophisticated as caregiving has been attempted.’ This is, in my eyes, what is very much needed when the osteologist considers what implications evidence of pathology may mean for the individual and society. 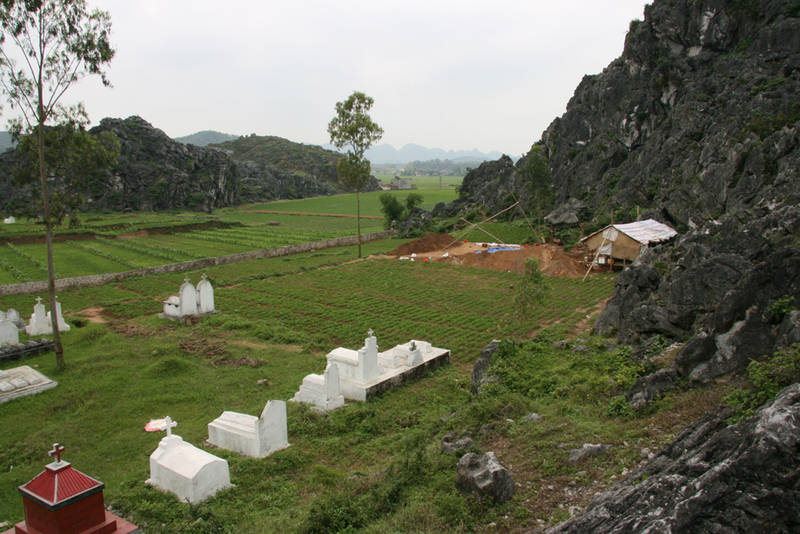 The individual who helped kick start it all: the burial of M9 in-situ at the Vietnamese Neolithic site of Man Bac. This male individual, who has been diagnosed with juvenile-onset quadriplegia, is indicative of an active caregiving environment during his lifetime. (Tilley & Oxenham 2011: 37). In particular Tilley emphasises the fact that the Index offers a framework for analysis – it is not a formula. The researcher works through the stages of the Index to help produce a framework of care. The Index of Care can be found online here and Tilley encourages all archaeological researches to give the Index a go. The Index of Care is currently in active development and feedback is highly sought after to improve its design and operation. Those contributing to this project will be acknowledged in subsequent versions for their help and efforts. (1). It should be noted that I am named in the acknowledgments of the article for providing some early feedback on the article. Tilley, L. & Oxenham, M.F. 2011. Survival against the odds: modeling the social implications of care provision to seriously disabled individuals. International Journal of Palaeopathology. 1: 35-42. Tilley, L. 2012. The Bioarchaeology of Care. The SAA Archaeological Record: New Directions in Bioarchaeology, Part II. 12 (3): 39-41. (Open Access). Tilley, L., & Cameron, T. 2014. Introducing the Index of Care: A web-based application supporting archaeological research into health-related care. International Journal of Palaeopathology. 6: 5-9.